- Park of the Sun on the seafront of Misano, music, inflatable games and green areas for relaxation. ... many services for the little ones, possibility to buy tickets for the parks! Offer valid for a minimum of 2 adults and 2 children in a Basic room. Request the best offer 2019 now! Limited number of rooms available with this offer. 2 - 9 June Happy Family All Inclusive & Children Free! 2 adults + 2 children up to 15 years free ... pay only 2 parts in a quadruple room! The new 2018 swimming pool with hydromassage and water games is new! Offer valid with 2 adults and 2 children in a Basic room, minimum 6 nights. Request now the best offer for this week whether you are traveling as a couple or with children! 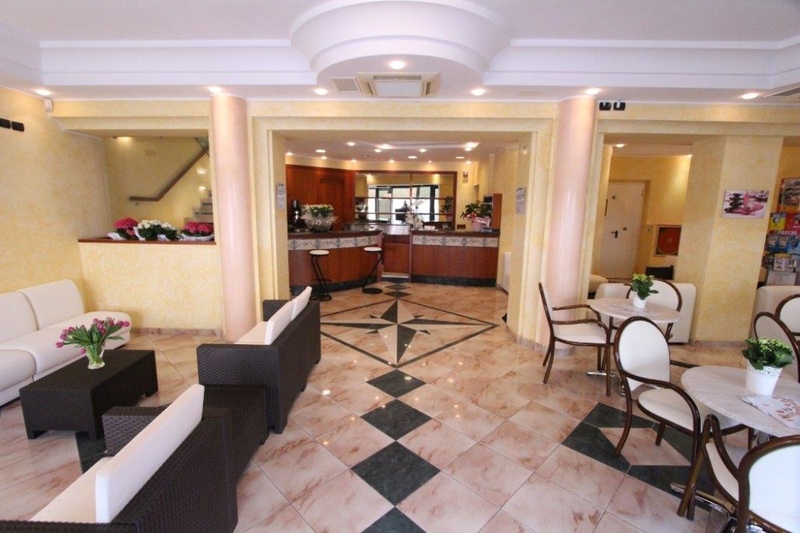 Special Break d early summer ... at the Hotel Misano with unbeatable prices! Package Offer Break d Summer Start 4 Days in the sun all for you! Eat and Drink as you wish! Contact us now to receive the best 2019 Offer! 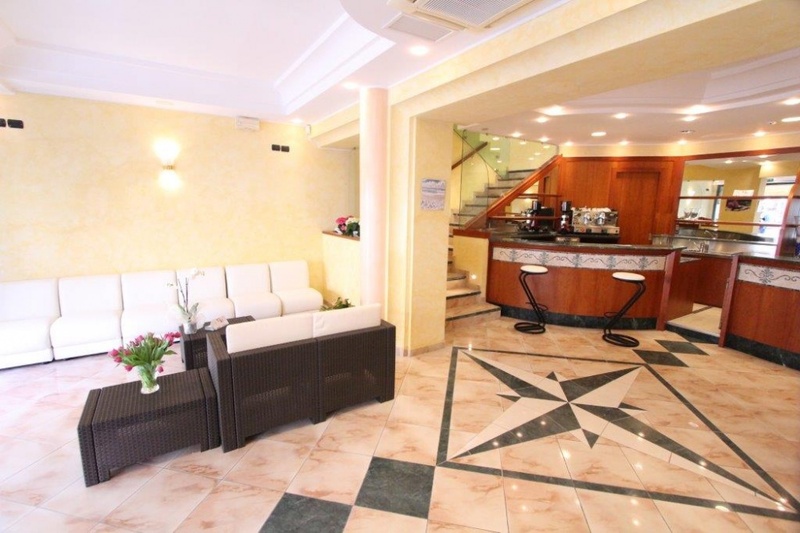 A wholly refurbished hotel to welcome 2016 located only 50 meters from the sea in the heart of the Misanos nightlife halfway between Riccione and Cattolica. The ideal Romagnas holiday destination for those who are seeking the highest hospitality standards and several family-friendly services. 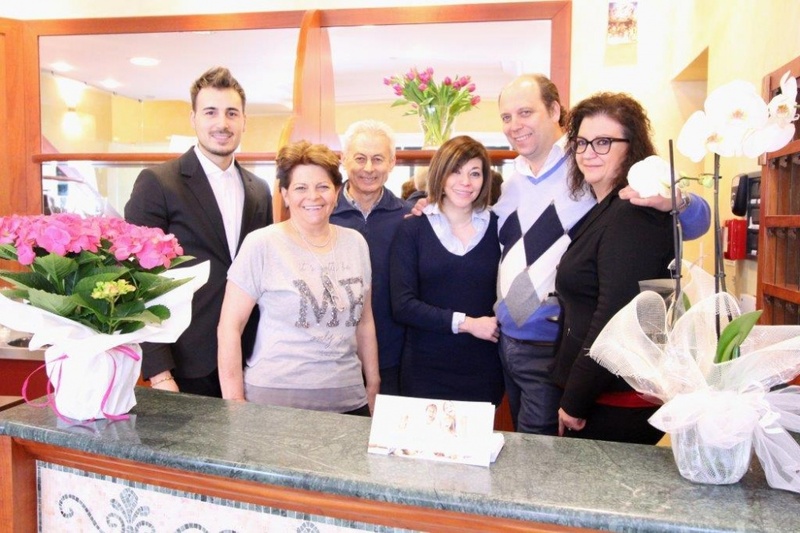 The new management, handled passionately by the Cecchini-Cioncolini family, guarantees the utmost competence, several details that will make a difference and huge smiles that will definitely open your heart. 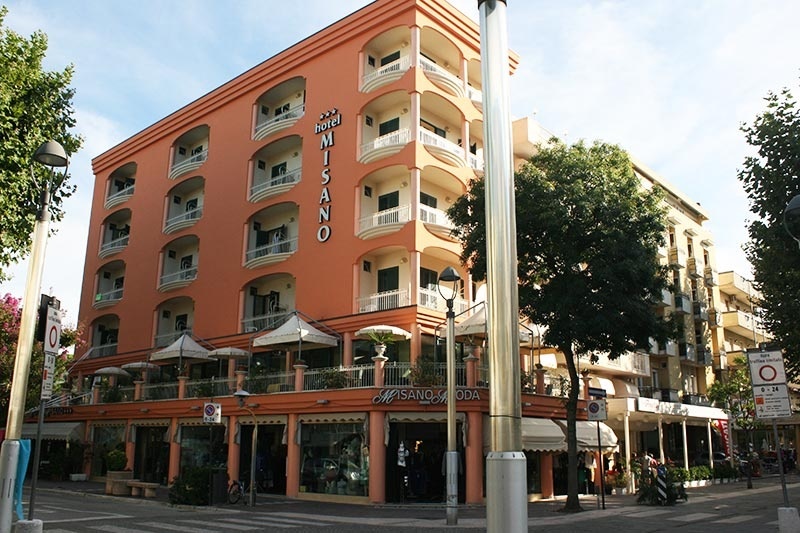 The rooms of hotel Misano are all equipped with air conditioning and free Wi-Fi, bathroom with shower box and hairdryer, lcd tv and telephone. On request we will make you available even sea-view rooms, rooms with terrace, childrens accessories and electric shutters. Here you will find two accommodation types: Basic Rooms and Starfish Rooms. The hotels main flagship is certainly its cuisine thanks to the menus inspired by the Romagnas tradition revisited with passion and creativity. The day starts off with a delicious buffet breakfast including sweet, savory and dietetic delicacies whereas at lunch and dinner you will be able to choose from a range of first and second courses featuring homemade pasta, meat and fish menus, buffets of starters and fresh vegetables, desserts and fresh fruits. On request, children and guests suffering from food intolerances will be provided with customized menus. The bathing establishment we partner with offers a wide range of childrens services such as entertainment, playground and Mini Club, sports fields for beach volley, boules and tennis, water gym, swimming and aerobics courses, Wi-Fi, table tennis and playing cards. 2 - 9.6 Happy Family Special All Inclusive Holiday 2 - 9 June Happy Family All Inclusive & Children Free!